Ton completed his Civillian Instructor Certification in 2015 under the tutelage of the IKMF's first female GIT Megan Berkman and Head of the Testing Committee, Tamir Gilad. Ton went onto complete his Combat Fighter Instructor Certification in 2016 with Head of Law Enforcement, Israel Tamir. 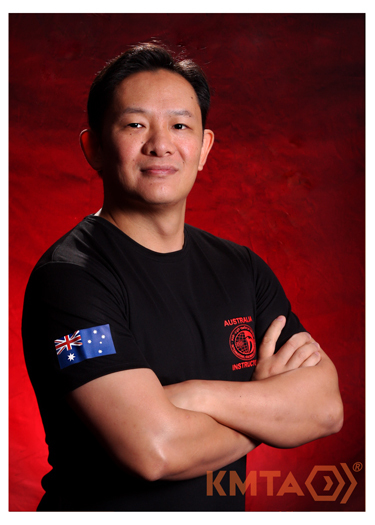 Before studying Krav Maga in 2012, Ton earned his First Dan black belt in Koshinkan Karate after five years under Queensland's current Karate State Captain. With childhood training in Rhee Tae Kwon Do, Ton's facination with martial arts and human movement has seen him explore many styles and systems, including Kobudo weaponry and two years of running with the Brisbane Parkour crew. Ton currently teaches and trains under Australia's CIT, Tim Alexander, in Brisbane.